The S&P 500 surged higher by 3.6% during July and my net worth followed suit thanks to the markets, dividends and most importantly savings. 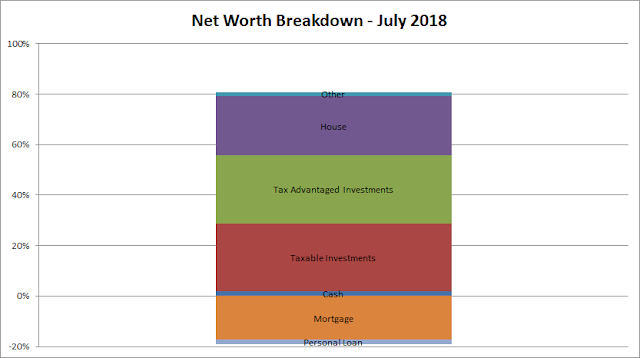 During July my net worth increased $15,881.33. 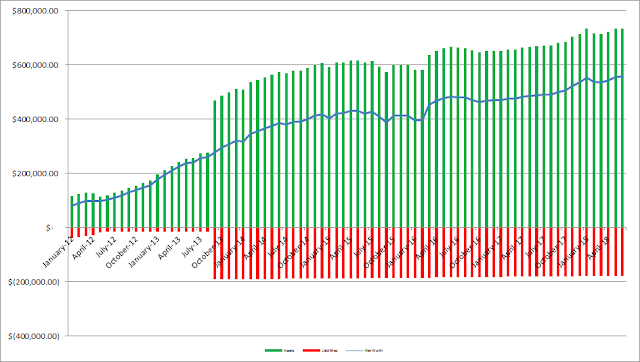 As of the end of July we have 26.5% equity in our house based on our purchase price from 2013. 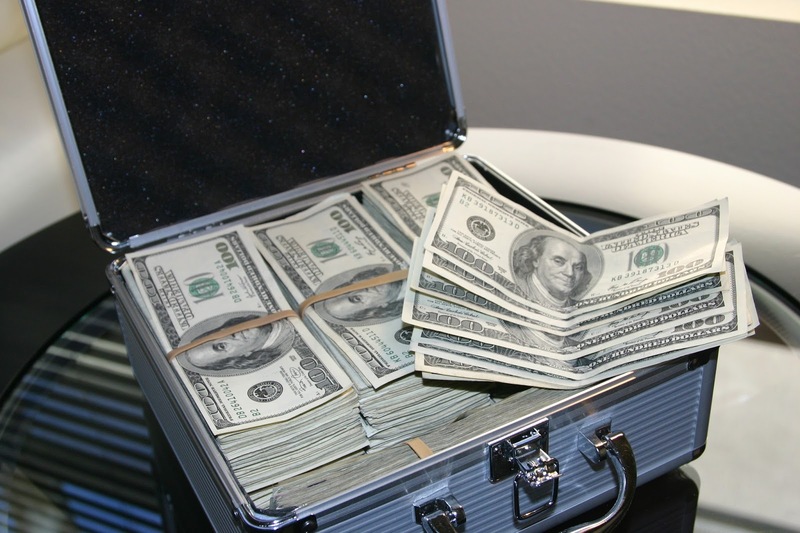 However, according to Zillow our house has increased in value around $42.2k from our purchase price which is a nice bonus, although I keep the purchase price as the value in the net worth equations. Based on Zillow's estimate the equity in our house jumps to 38.4%. Since I write so much (or at least try to) about investigating companies as an investment I figured it'd be fun to see how our balance sheet looks. 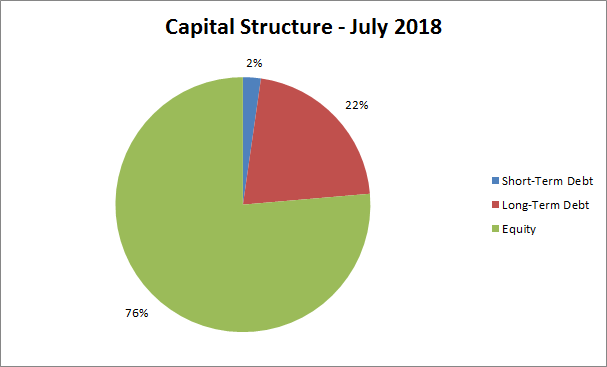 As of the end of July our debt to equity ratio remains at 32% and our debt to total capitalization is 24%. Not bad, but I'd love to get that debt down to ZERO! 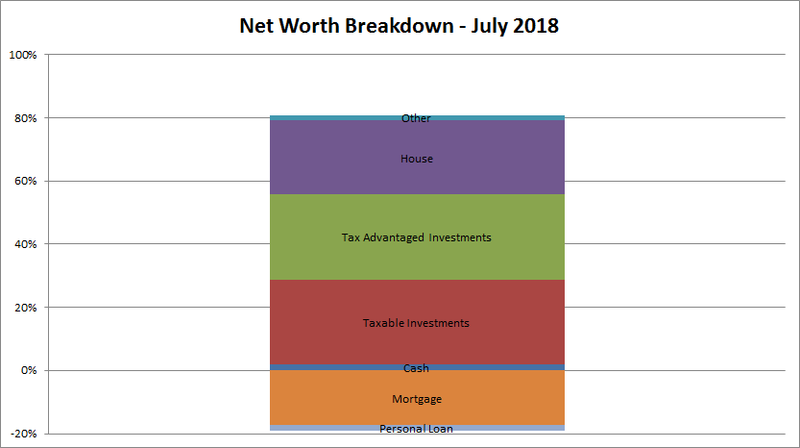 How did your net worth fair in July? Did you ride the markets higher to new personal bests?